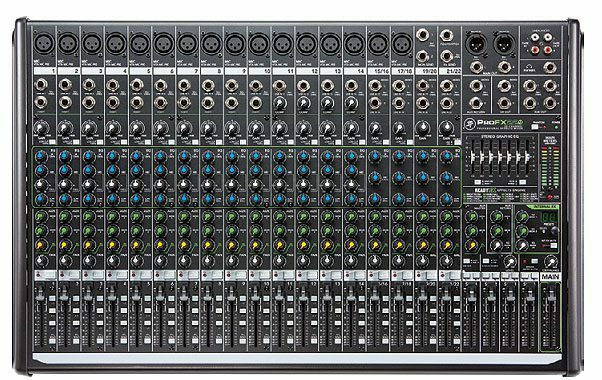 Mackie ProFX22v2 mixers feature all-new Vita™ preamps for unmatched sound quality and a no-compromise live mixing toolkit including the all-new, immensely powerful ReadyFX™ effects engine. 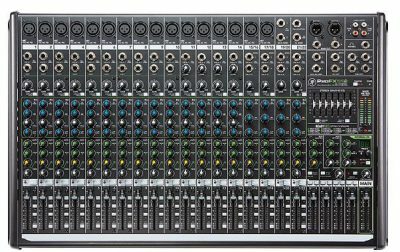 Mackie ProFXv2 Series mixers provide a comprehensive live sound solutions, with models from 4- to 30 channels covering a huge rage of applications. Delivering unmatched sound quality, Mackie ProFX22v2 features all-new Mackie Vita preamps, which are virtually noiseless and designed specifically for the highly dynamic world of live sound. ProFXv2 also includes the immensely powerful new ReadyFX effect engine, hamessing floating-point DSP to deliver 16 rich effects that elevate any performance. The Mackie ProFX22v2 no-compromise live sound toolkit includes a room-shaping GEQ, flexible I/O and a built-in USB interface for hassle-free recording/playback. With a rugged steel chassis and unmatched sonic performance, ProFXv2 is truly the life of your mix.